I don't know about you, but I'm pretty much obsessed over beauty boxes. That's why I was thrilled to find out that one of my favorite online shopping sites for everything beauty, decided to release they own version of a beauty box. Of course I had to get one for myself right as I got the newsletter with these exciting news, but unfortunately due to some delays I only received this box last week. Although it might not be the latest news in the beauty box world, I thought I'd show you the content of the box and share my impressions with you. 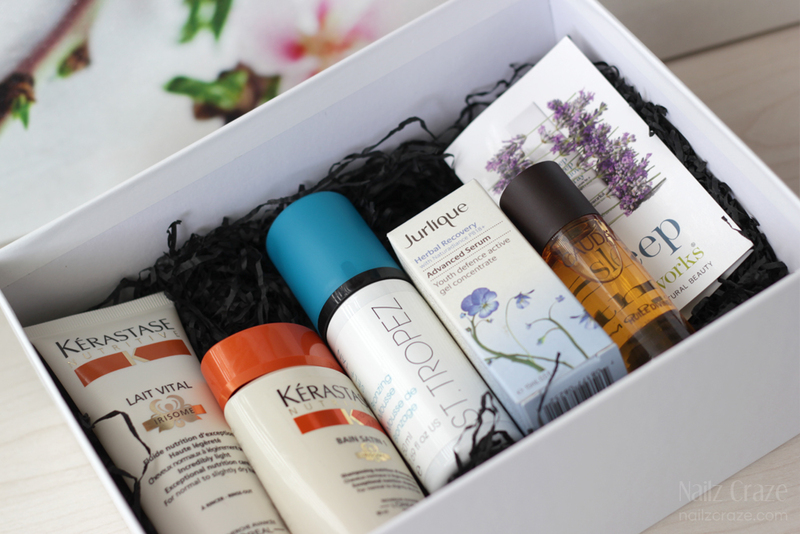 I assume you are already familiar with the beauty box concept, and the Look Fantastic box is no exception. In the box you will find 6 mystery beauty related items in deluxe / sample / travel size across the skincare, hair, makeup, fragrance range (and more) that Lookfantastic.com has to offer. This is a great way to try out new things for a low cost and a nice present for those of you who love beauty surprises. September's box was the first one to release and it sold out within a day (!) so I was happy when I managed to grab one before they were gone (even though I got it after a long wait). Of course by the time it arrived to me I already knew it's content (actually spoilers started to appear quite fast with these) but that's ok. I actually was quite impressed with the content of the box and the brands that were included. Great start, Look Fantastic! I was super excited to find a product by Jurlique, this was a brand that I was very curious to try, and apparently this generous deluxe size product's value almost covers the box price. 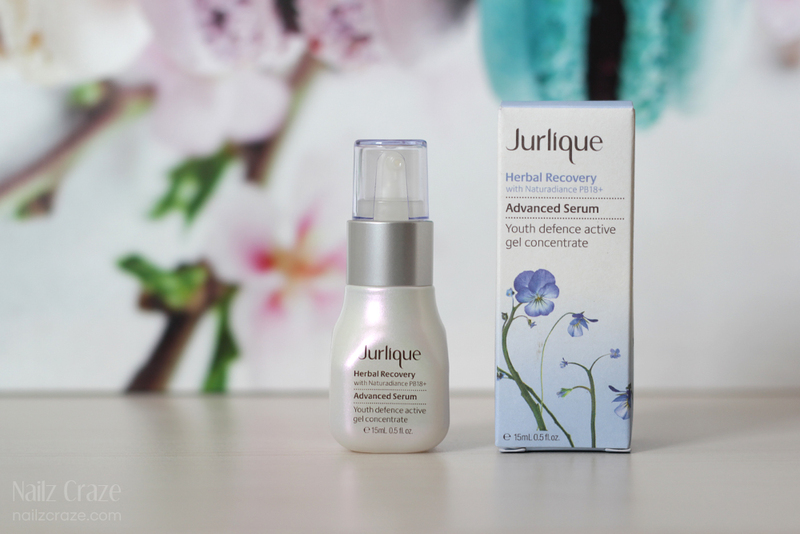 This is a light gel consistency anti-aging serum with a herbal / floral scent (which unfortunately I wasn't very fond of) that comes in a little pearly glass bottle with a pump - really loved the packaging! I liked it's light texture and hydrating feeling, and although it has a relatively 'nice' scent, I felt that it had too much presence and I found it irritating. That's too bad, I was really hoping to love this product. 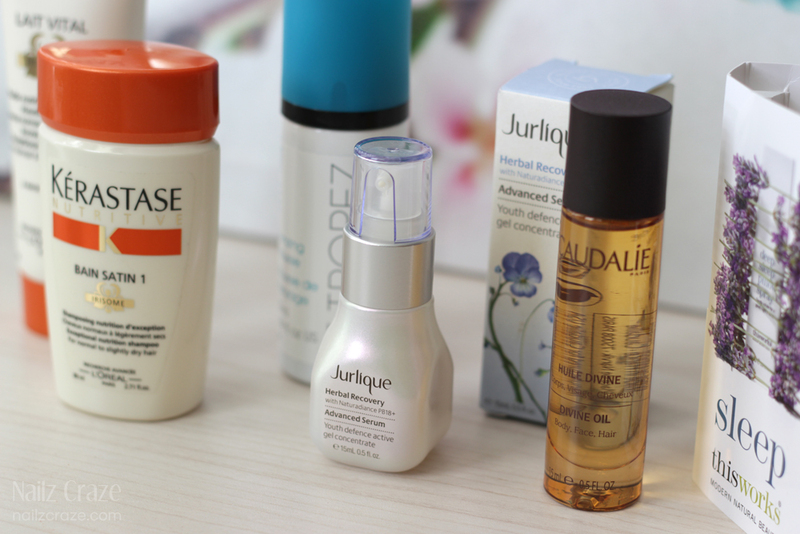 I bet many were thrilled to receive the Caudalie multi-purpose oil, but that wasn't the case for me. Don't get me wrong, I do like this product, only I was a bit disappointed to get it the box since I already purchased this oil a while ago. I would have been much happier if I got to try other products from the brand. 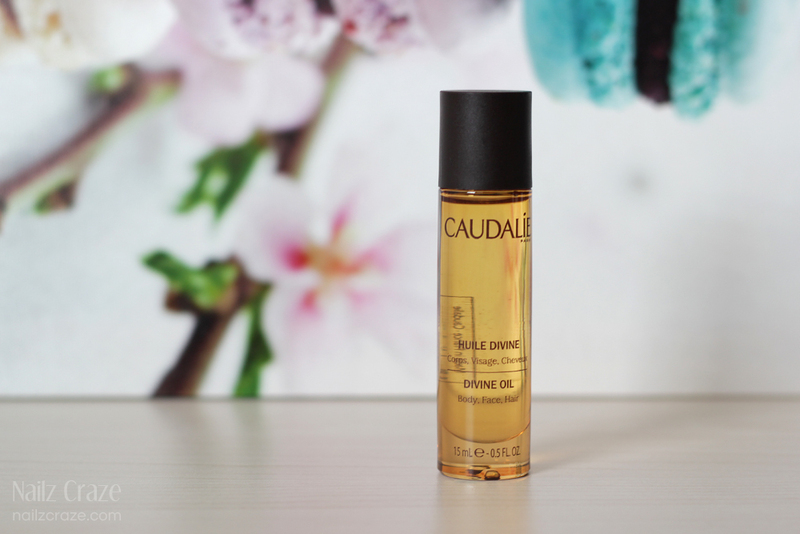 With that being said, I really like Caudalie's products and this oil is no exception - it has a lovely sweet musky scent (not too overwhelming) and the oil leaves the skin silky and hydrated. Unlike the full size product, this deluxe sample bottle doesn't have a spritzer which is not as convenient to use. I have to admit I wasn't really familiar with this brand and didn't know what's all the hype about, but it sounds like this is a good brand that delivers good results (yet a bit too expensive for my taste). I don't feel like I can tell you too much about it, since I haven't used these products nor I'm sure I will since I'm planning to switch to SLS free hair products for the near future. These are quite generous sample sized products and they smell nice, these are also approved travel size so they should be great to take with you on vacation. For me this was an interesting product that I haven't tried before - a relaxing spray to help you get a deeper and better sleep. I have to admit that the idea of spraying my pillow with it felt a bit odd to me, but I totally get how this works and that the herbal extracts and soothing lavender scent could contribute to my relaxation. Haven't tried this one yet either, only because I honestly forget I have it, but hopefully will be trying it tonight. Another product that was new and interesting to me was the St Tropez bronzing mousse which apparently many have been loving. I don't know why but these self tanners are always something I buy but never get touse for some reason, but I hope it will be different this time...? In any case, this sounds like a very good product that shouldn't leave any weird streaks, so I might give this one a go, although I feel like I should keep this one for next summer. 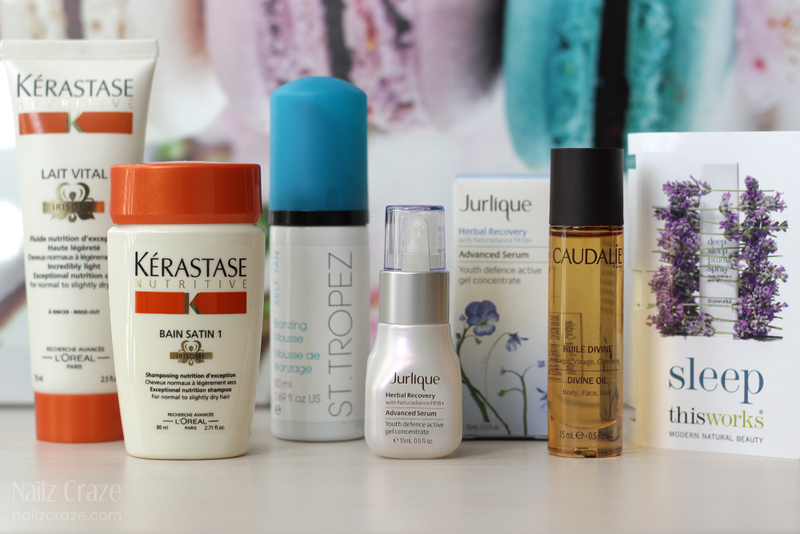 Overall I think this is a very good box with a good value and a nice mix of brands / products. Despite the fact that I didn't feel like all of the products suited me and although it might sound like I was a bit disappointed, I still think that this is by far one of the best beauty boxers I've recently got (taking in mind that us international girls can't always get our hands on many beauty boxes out there). Another thing that I would like to mention is that so far the two beauty boxes from Look Fantastic (September & October) didn't contain any makeup related products which might be a disappointment for some, and all of the boxes were completely identical (unlike with many other beauty box services). The Look Fantastic beauty box retails for £15 (free shipping) - September's box value is £36.5 and it includes 6 products. November's box should be available for purchase starting 9am on 1st November 2014, so be sure to hurry and place your order as these are sold out really fast. I personally decided to skip October's box which was quite nice but wasn't as exciting for me, and I already pre-ordered November's box. Hopefully it will be as good (or better!) and include other interesting brands and products that I haven't tried yet. I think it could be nice to included some makeup and nail related products, then I could be a very happy girl! I really like the box it comes it, I would totally use that for storage. The products look nice. 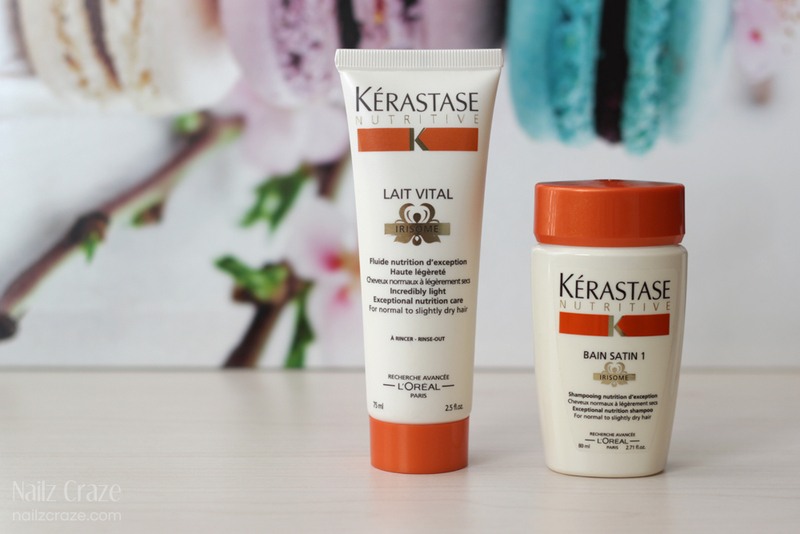 Kérastase is the only brand from the ones included on this box that I actually know and tried before. I love their hair masks! Caudalie is also familiar to me but I haven't tried any of their products. you're so lucky to have oredered this on time! I really hope that I'mm maanage to by the next one on time before it is sold out!